New luxury townhouse features slope views and two living areas. There is a master suite with a king bed and private balcony. Updated kitchen, private laundry and a two-car garage. In River Run Village so you can walk to shops, restaurants and the gondola. This vacation rental is new to our management program. There are no reviews yet, but you can be the first to leave a review! 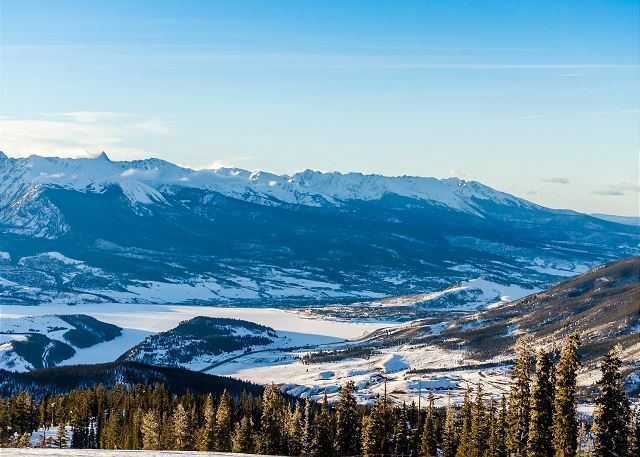 We hope to see you in Keystone soon. Completed in 2018, this 2,106 square foot 3-bedroom, 3.5-bathroom luxury townhome sleeps 6 and features gorgeous slope views. Vaulted ceilings lend a spacious feel and there is a second living area that is ideal for movie and game nights. There are two masters, one with a king bed and a private balcony. 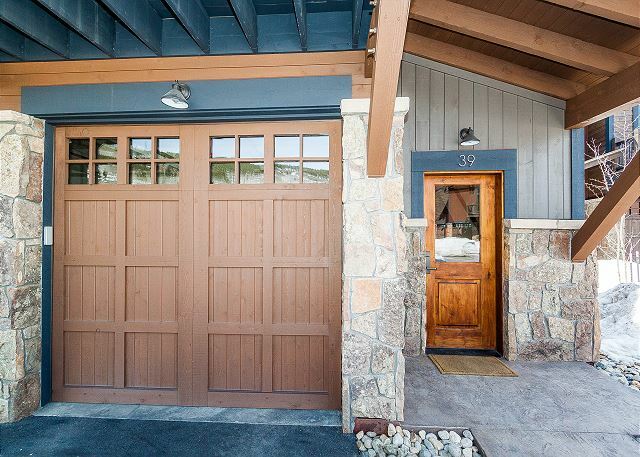 High-end finishes throughout, private laundry and a private garage. Located in River Run Village so you're a short walk from shops, restaurants and the gondola. The entryway offers mounted hooks and a closet for your convenience while coming and going throughout the day. 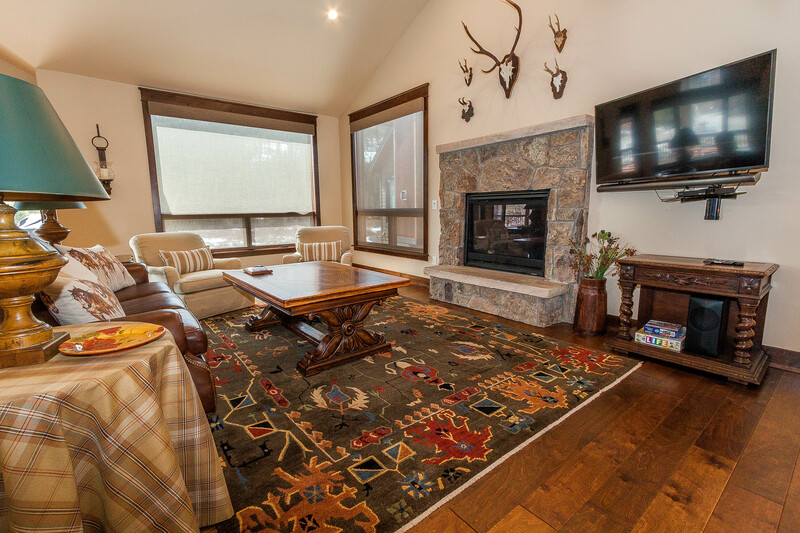 Head upstairs to the main living area that features a mounted flat screen TV and a gas fireplace with stone surround. The vaulted ceilings create a spacious feel and the picture frame windows offer gorgeous ski slope views. Head outside to the private deck for some fresh mountain air while you take in the views or take advantage of the grill for home-cooked meals. The full-sized kitchen is stocked with all the essential cookware and tableware to make a meal away from home and features stainless steel appliances and granite countertops. There is also a wine cooler available for guest use. Enjoy meals at the beautiful dining table that seats six and there are three additional seats at the breakfast bar. There is a half bath on this level. All bathrooms are stocked with towels and an initial supply of toiletries. Guests also have access to a private washer and dryer near the half bath. For your convenience, laundry detergent is provided. The master bedroom is also on this upper level and features a king-sized bed with Ivory White Bedding and a flat screen TV. It has its own private deck with courtyard views. The en suite bathroom has double sinks and a walk-in shower with tile surround and a glass enclosure. There is also a master closet. On the lower level there are two more bedrooms and a second living area. The second master bedroom features a queen-sized bed with Ivory White Bedding and a flat screen TV. The en suite bathroom has a single sink vanity and a walk-in shower with glass enclosure. The guest bedroom has two twin-sized beds with Ivory White Bedding, a flat screen TV and its own private patio. It also has its own entrance to the downstairs guest bathroom. The second living area offers comfortable seating around a mounted flat screen TV. Ideal for movie and game nights for family and friends. There is a guest bathroom on this level with a single sink vanity and a shower/tub combination. 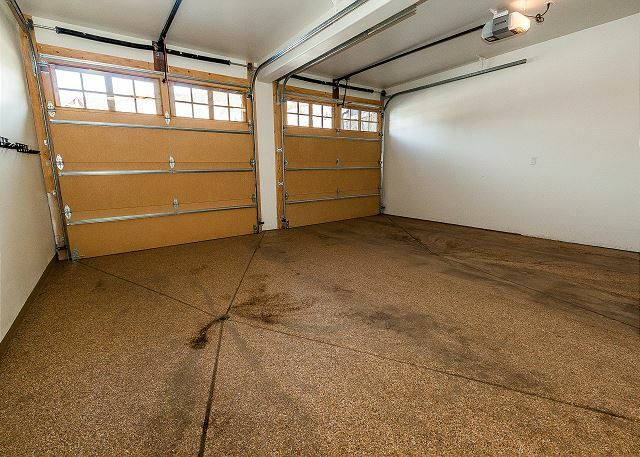 The private garage can be accessed from downstairs and offers room for two vehicles. **Ultra-premium Linens and Ivory White Bedding** This property has been upgraded. Our ultra-premium linens rival those of The Four Seasons featuring extra soft, oversized towels and high quality bed linens. The ivory white bedding is modeled after high-end hotels and resorts. Featuring an uncompromising and industry leading standard of cleanliness, the duvet covers are laundered after each and every guest stay. 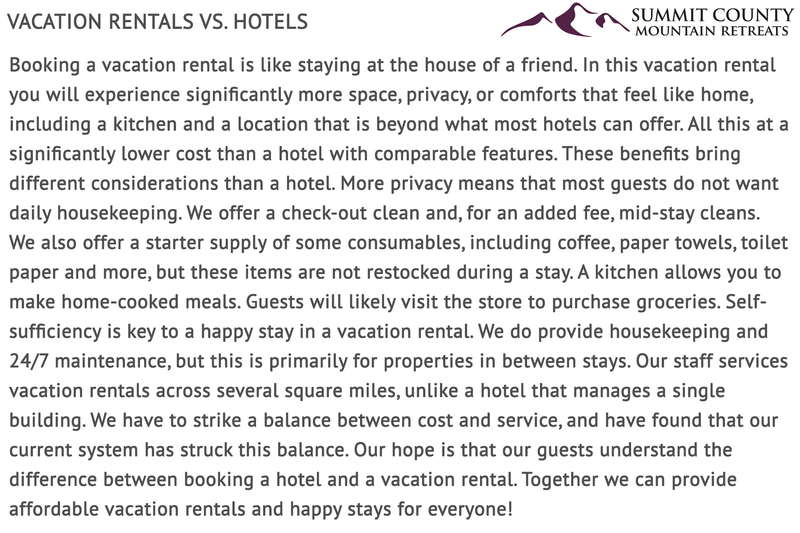 ENHANCED GUEST SERVICE: Rest assured that this home away from home is professionally managed. We provide cleaning services, regular maintenance, lock-out service and 24/7 emergency call service. GUARANTEED BEST PRICE: If you find a better deal at the time of booking on a comparable property, then provide us with clear evidence and we will beat the deal by 10%. PROTECT YOURSELF FROM SCAMS & FRAUDS: We only accept payments via credit card. We accept Visa, Mastercard and Discover only. Paying by credit card protects you from many online scams. We will never ask you to wire money, send us money in the mail or send a cashier's check or money order.